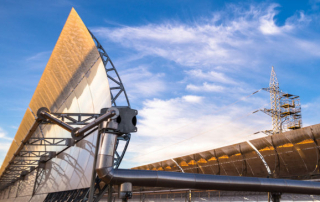 CSP Today has launched its 7th International Concentrated Solar Thermal Power Summit, in which the main stakeholders gather to discuss the future of the industry. 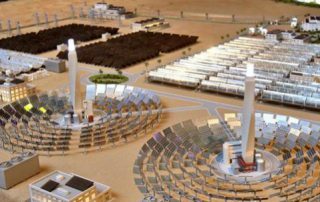 Solar energy is set to emerge as one of the Gulf region's main sources of energy by 2017 with approximately 155 billion worth of solar power installation projects to generate more than 84GW of power. Chiyoda and ASE celebrate the inauguration of Molten-Salt Parabolic Trough - Concentrated Solar Power (MSPT-CSP) demonstration plant. Chile's economic development is dependent upon the power supply in the country. 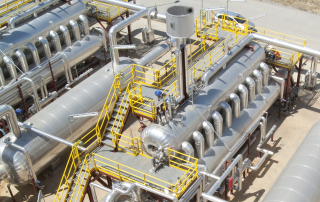 A joint venture of Shikun & Binui and Abengoa has won the build, operate, transfer concession for a 121MW concentrated solar power (CSP) plant in Ashalim in Israel. 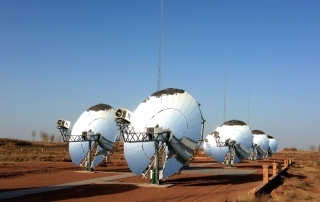 On July the 3rd 2013 Archimede Solar Energy (ASE) and Chiyoda Corporation ground break the most advanced concentrated solar power installation with thermal energy storage.